(TibetanReview.net, Mar12’16) – Protest rallies to support Tibet on the 57th anniversary of its uprising against Chinese occupation were held in more than 20 German cities on Mar 10, said Tibet Initiative Deutschland which organised the campaign (TID). 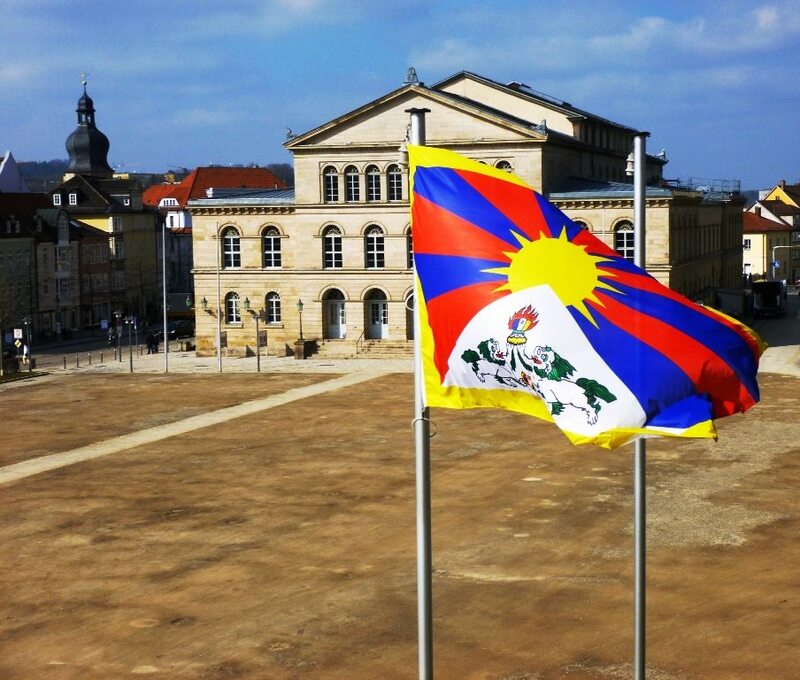 TID said hundreds of cities, municipalities and administrative districts throughout Germany raised the Tibetan flag on public buildings to expressed solidarity with the Tibetans in Tibet. In capital Berlin, TID and the Association of Tibetans in Germany organized a demonstration in front of the Chinese Embassy. “The flag campaign started in 1996 with 21 participants and since then more than 1000 cities participated. This year the Tibetan flag will fly in more than 400 cities. They are sending a strong signal of solidarity to the Tibetan people, emphasizing the urgent need for political support to end the violence and oppression”, said Nadine Baumann, Executive Director of TID, as the campaign got underway. TID said Mar 10 that the flag campaign was being carried out under the patronage of the mayor of Bamberg, Mr Andreas Starke (SPD/Social Democrats), and supported by top-ranking German politicians such as Ms Claudia Roth (Alliance 90/The Greens), Vice president of the German Bundestag.